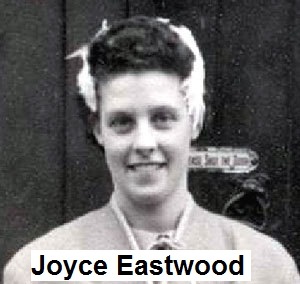 Circumstances: On 8 October 1970, Joyce Eastwood was picked up from home by a co-worker, Hazel Pope, along with her two sons to attend their place of employment (Noarlunga Meat works). The boys were dropped off at the gate whilst Hazel parked the car. There was a security guard on duty at the gate and he stated that the woman arrived at the meatworks between 07.00am – 08.00am where they unloaded two suitcases and were almost immediately both collected by a male taxi driver and drove off, leaving the car (mini minor) in the car park. It is believed that the women both handed in the resignations about a week prior to leaving. No contact has ever been received from any members of the families.